Maria Saxton is a Ph.D. Candidate in Environmental Design and Planning in the Building Construction Department at Virginia Tech. She is a fellow in the interdisciplinary Bio-Inspired Buildings (BioBuild) graduate education program. Her doctoral research involves measuring the ecological footprints of tiny home downsizers. She is also part of the Sustainable Facilities and Infrastructure Lab, and is advised by Dr. Annie Pearce. Maria has extensive experience in the growing tiny home research field. 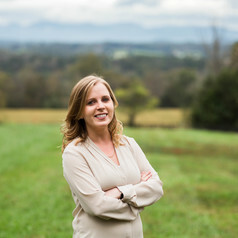 In addition to her doctoral research, she has conducted tiny home community feasibility studies and has worked on developing a cost-estimating tool to implement tiny home communities in her home state of Virginia. Her driving interests in the tiny home field include community development, sustainable designs, and solutions for affordable housing. She will be completing her degree in May of 2019 and is actively seeking tiny home-related job opportunities.